Home Tips	Ray-Bans for $20? Greetings and happy Tuesday! While away on vacation I held our mail through the post office. Yesterday the mailman delivered our collected mail and right on top was a box from China. About a month ago I saw an ad on Facebook advertising authentic Ray-Ban sunglasses for $19.99. Since almost everyone in my family is notorious for losing or breaking sunglasses, I thought for twenty bucks?- I’d give it a try! So, I went to pay for them and at first my bank wouldn’t allow the payment to go through, which raised a red flag. So, I abandoned the idea thinking maybe it was a scam. But low and behold I got an email confirmation the payment did go through. Then I wondered if I would ever get them? Fast forward 3 weeks later? Well. Here they are! My made in the USA Ray-Ban sunglasses straight from China. How does that work, one might ask? I’m not sure. I do know each pair of sunglasses came in an authentic box and case. They were well wrapped and arrived unscathed and intact and in a timely manner. From China? But they say “made in USA”. How good are they? I’ll let you know. But for $20 I’d say it was a pretty good deal. You can spend as much at the drug store on a similar pair of sunglasses. So, they will be a great back up pair for us since we are bad about keeping up with them. And they come in a nice case. 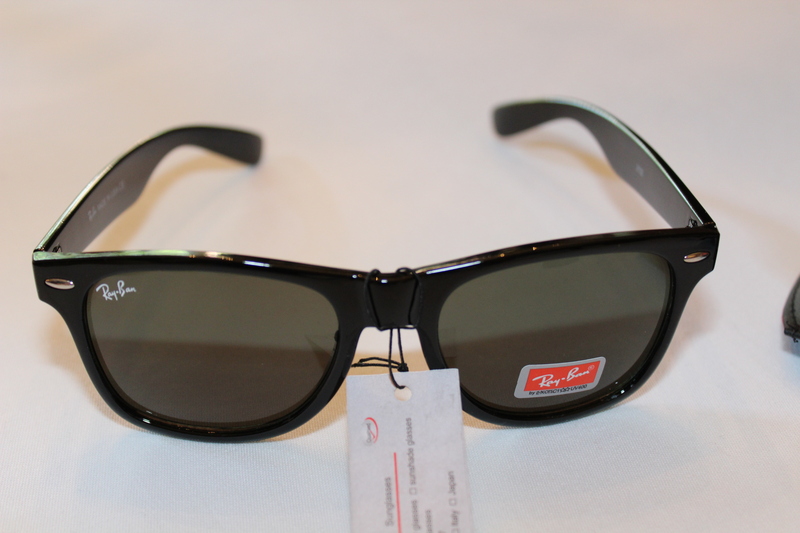 The sunglasses have the Ray-Ban logo on the front and side and look like the real McCoy. I’m just curious if anyone else has bought these too and if they are pleased? And because they are advertised on Facebook, I’m guessing it’s perfectly legit. My sister ordered some about a year ago and she was pleased with them. We went to China a few years ago and I heard they have back room shops called “Knock-Knock Shops”. They sell knock-off brands such as Coach, Louis Vuitton purses, wallets and luggage, etc. Since it’s illegal to sell knock-offs, you can to go to these underground stores and knock on the door. They peek through the door to make sure it’s not the officials, then let you in. So I hear. (I promise you I did not go to one.) The fact the sunglasses came from China just made me wonder. Vacation Yard. A Sad State of Affairs….